Are you looking for a fun way to spend the morning with your son, daughter, niece, nephew, or grandchild? 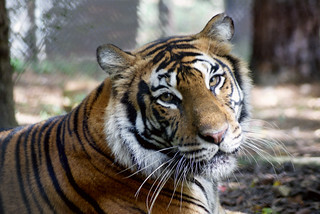 Then Carolina Tiger Rescue’s Tiger Tales Tour is just right for you. 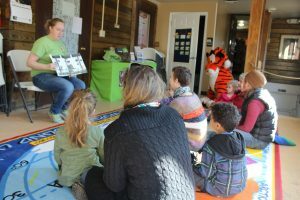 You’ll join one of our trained team members for a fun and engaging story time before creating an animal themed take-home craft. After all masterpieces are created you¹ll head out into the sanctuary for an opportunity to see some of our most iconic resident animals up close. This tour is only offered once a month, so get your tickets today! Every child must have an adult who is at least 18 years or older with them. Ready to buy your tickets? Buy them now! Tiger Tales is a great way to introduce your children to the wonderful world of wild cats. Tiger Tales is offered once a month and tickets sell out quick!